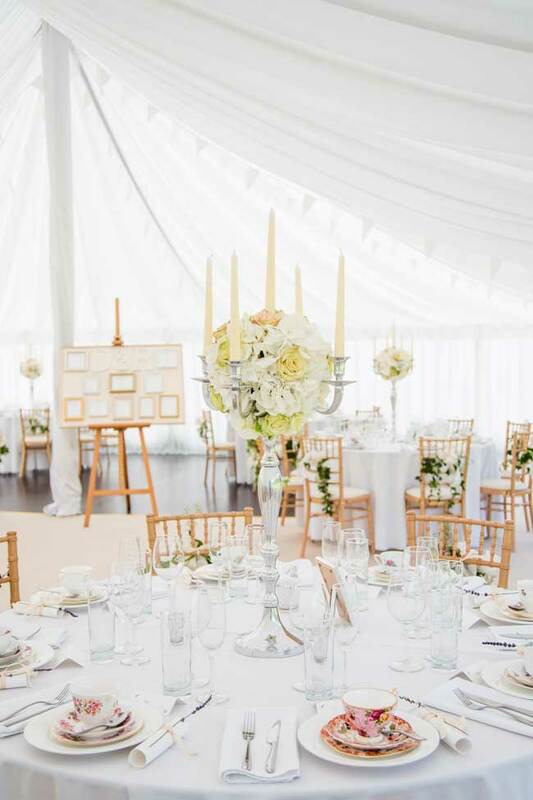 If you’re planning a chic and sophisticated big day, classic candleabra complete with real candles and flowers like this make a wonderfully elegant table display. Guests can talk across the table easily because the arrangements are so high, and the candlelight will look oh-so romantic later on in the evening. Just remember to check with your venue that they allow naked flames before you hire or buy. Rustic wedding receptions with a festival vibe mean you can get away with having brilliant, budget friendly table centres. 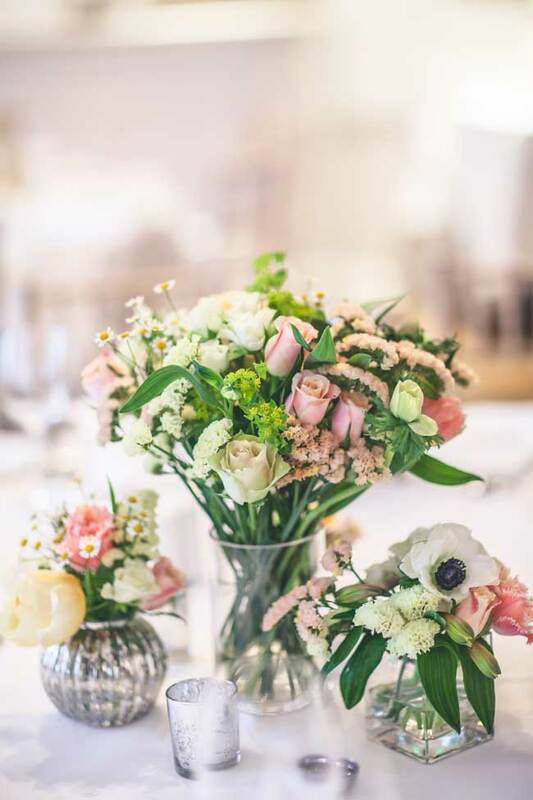 Grab some mis-matched vases, stock up on budget blooms like Sweet William and gypsophila and loosely arrange on your tables for the ultimate relaxed wedding reception vibe. 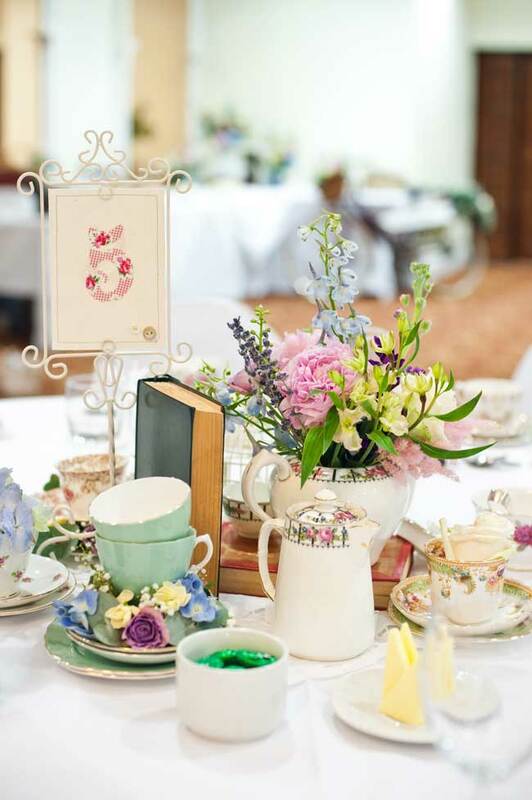 The perfect table centre for an afternoon tea themed wedding reception, this teapot table centre idea is being spotted more and more in our real-life weddings. 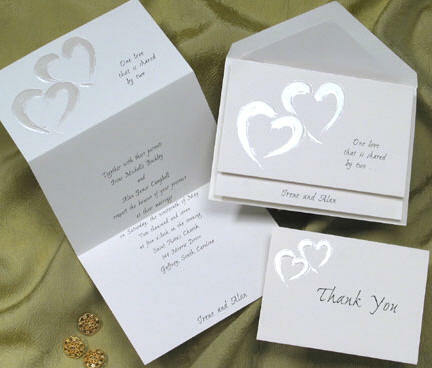 We like this vintage pewter-looking design as it lets the flowers stand out. 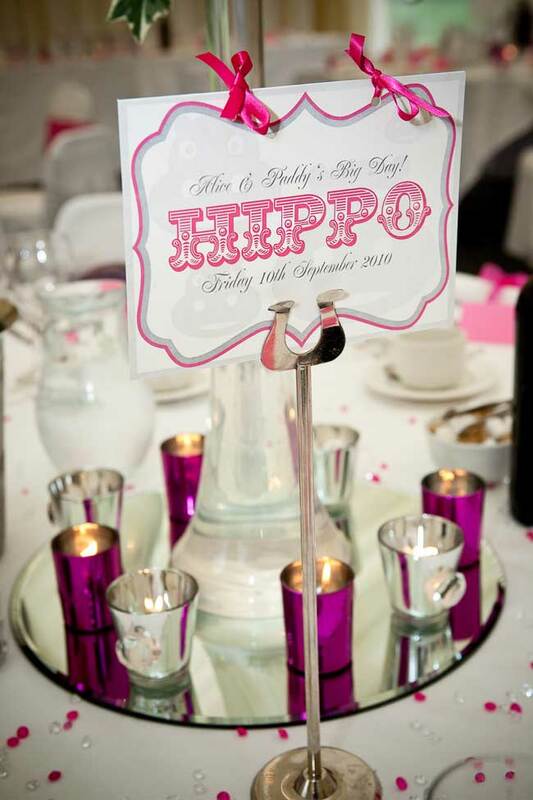 Mirror plates are great if you’re on a budget because they instantly double the effect of your table centre! Use the plates as a stand for your larger display or on their own with mini votives. You can pick up these mirror plates in the Wedding Ideas Shop! 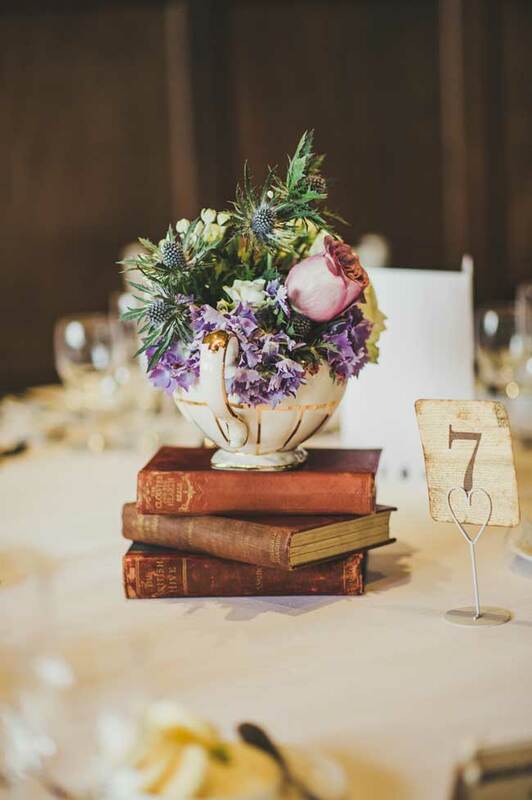 The perfect table centre idea for a literary theme, old-fashioned books make wonderful displays. Three or four tomes could be the base of your centre, with flowers, candles or crockery on top. And if you want to be really clever, you can buy books that mean something to you, or reflect your relationship, or your wedding theme. 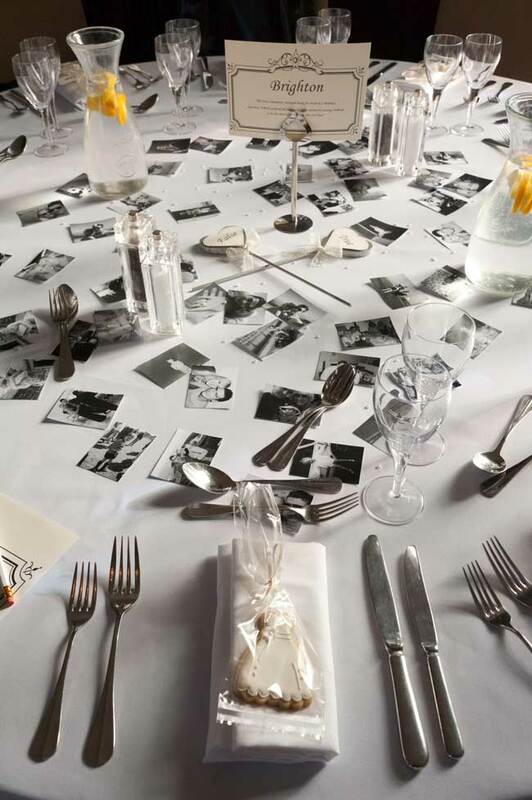 We love this real bride’s idea of using personal photos scattered on each table. 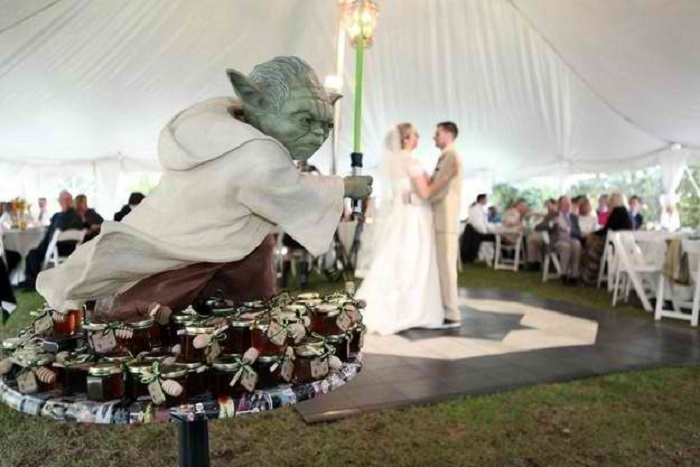 The images reflect the couple’s love for one another and also provide a great talking point for guests. Just remember that photocopies will be fine – special originals may get ruined during the party. Small, opaque or shiny vases make great table centres. 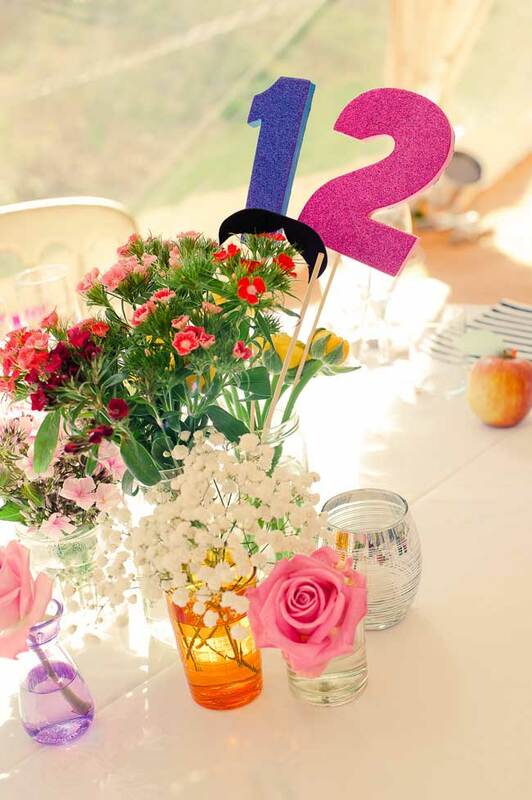 Ideal for smaller floral displays, guests will be able to talk over them, and they’ll still make a great impact. 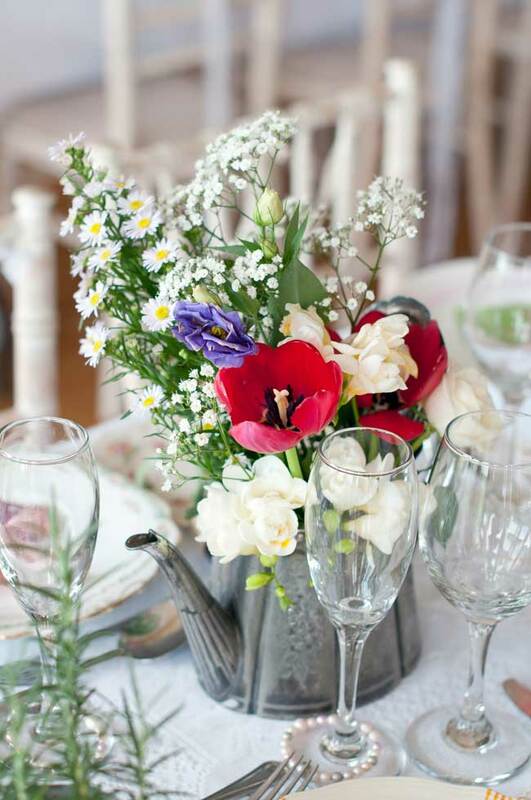 You could even have one spare vase placed on the top table for your bouquet – a ready made display when you sit down!